With the children attending a school that is just two minutes from our house, I do count my lucky stars each morning. Especially as I look out across the frozen gardens and pathways outside my window. No longer do I have to stand outside in the freezing weather attempting to de-ice the car and get it warm enough inside for the children not to complain. 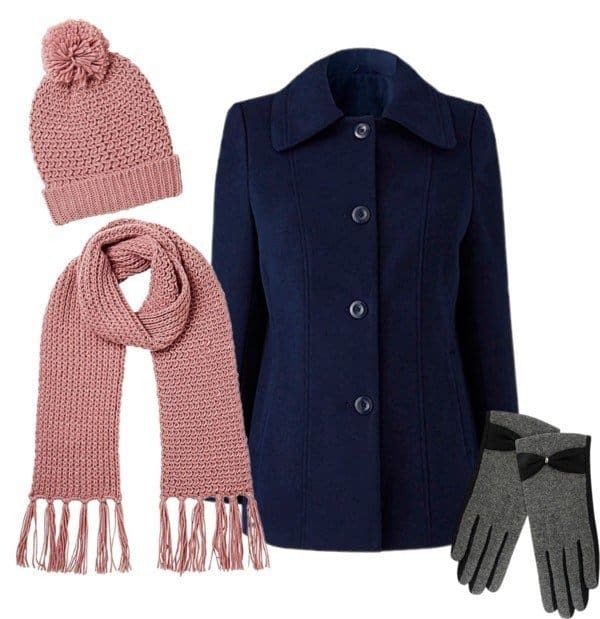 Now our school run is all about wrapping up warm with coats, scarves, hats, and gloves. I’ve teamed up with JD Williams to select what I would recommend for mums who are on the school run to help keep them warm and toasty. Coat – Let’s start with the basics, a coat. Personally, I do love the tailored look of collared coats, whether you opt for a daring red, classic black or fashionable navy it will look fabulous paired with your jeans. Partnered with some boots you have the basic outfit all ready to go. Hat & Scarf – You can’t use the ‘do as I say, not as I do‘ with the children on the school run. If it is cold enough for them to be wrapped up with a hat and scarf, then you should be doing the same. Personally, I love the chunky knit hats and scarves that are available. They add that extra snuggle factor for when the wind is bitterly cold. Gloves – Holding little hands across the roads and pushing pushchairs mean that our hands are exposed to the elements. Protect them from the harsh wind, cold and rain/snow with a pair of stylish gloves (who said you have to wear something boring). How do you keep warm on the school run? To help keep you warm and snuggly this winter, Boo Roo, and Tigger Too has a Navy Short Collared Coat (Size 16) from JD Williams to giveaway. It’s too easy just to throw any old thing on for the school run! I love the versatility of this jacket! I would certainly feel pretty stylish! I tend to revert to the trusty skinny jeans and flats! that looks stunning – so stylish yet cosy!